Fine art details for your Best Day ever. Could you ask for better? know more about the Wedding Trends. A Beachfront Stylish Villa is waiting for you! Wanna get married with a breathtaking landscape? but with the Italian best quality service! Let us create your unique Signature Event! Nothing better than a stunning clifftop Villa! Dreaming of a Tropical Wedding? Two Brides are better than One! The Unique Italian Wedding Planner in Phuket. Where your Love comes True. Be Stylish. Be You. Be with US! Light up your Reception Dinner with Style! Let your table be Stylish with our Design! A Romantic Wedding is all you need. Little Details makes the difference. When you choose our Wedding Planner! Giving a shape to your Dreams. We promise you Unforgettable memories. with a profusion of fresh flowers. Celebrate your Wedding on a Private Beach! Where Honeymoon begins before the Ceremony. ... This could be your Fairytale! is always a good idea! Signature Design of your Reception Dinner. Have a look at some ideas. Only exclusive and tailor-made Wows! We have hundreds of ideas ready for you! to remember Forever your Day. Wedding on Board of a Yacht? Add some extra lights to your starry night! ...for the most romantic Photo shooting. HOW ABOUT A BEACH RECEPTION DINNER? Wedding Boutique – Phuket Wedding Planner Agency. 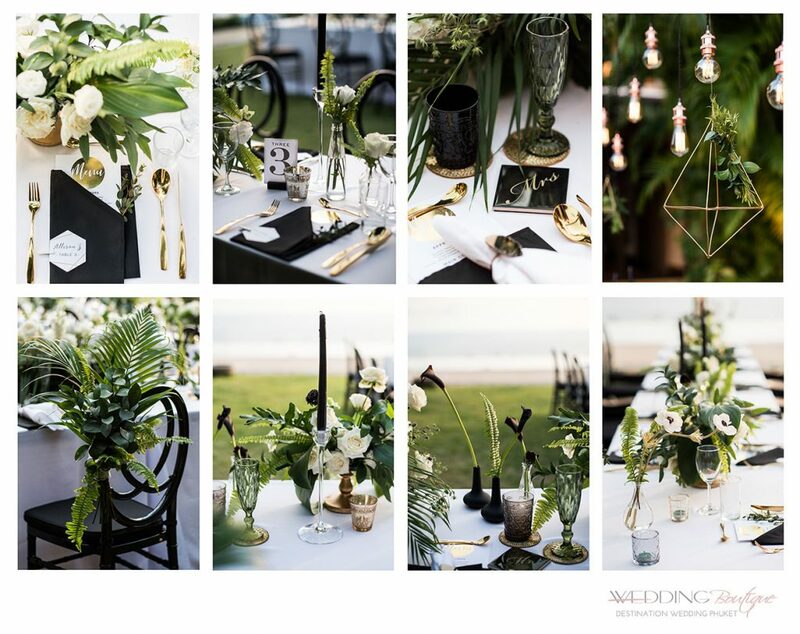 Wedding Boutique is a Destination Wedding and Events Organization based in Phuket. Lead by the only Italian Phuket Wedding Planner, the company involves the best creative and professional collaborators from all over the world. If the Bride & Groom wish to say “I do” in a unique and intimate way, a Destination Wedding in a tropical, mystical location is ideal and we are the Company for you. With stunning beaches, lush gardens, luxury Resorts, golden Temples, romantic sunsets and crystal clear waters… Phuket offers the perfect exotic backdrop for the Event of your Dreams. We will design and organize step-by-step your Beach Wedding, Special Event, Party, Engagement, Anniversary, Vow Renewal, or Thailand Honeymoon, to give you much more than just a Holiday. If you are looking for something Exclusive, Unconventional and Tailor-made you should contact us and let us do the hard work for you. You will be amazed by our helpfulness, professional service and our extensive experience. Ilaire, The Italian Phuket Wedding Planner and founder of the Company, with her extensive experience and eye for detail, will be completely dedicated to You from the first point of contact to “The Day”. She will help you create your own Wedding Style from her professional recommendations and make you forget about the distance between you and the Destination Venue. You only have to outline your Dreams and let us plan your event stress-less from start to finish. Then you will enjoy and share your unique experience with your loved ones and lucky invitees. We value your time, money, and fun, and we take care about your Dream to become Reality.